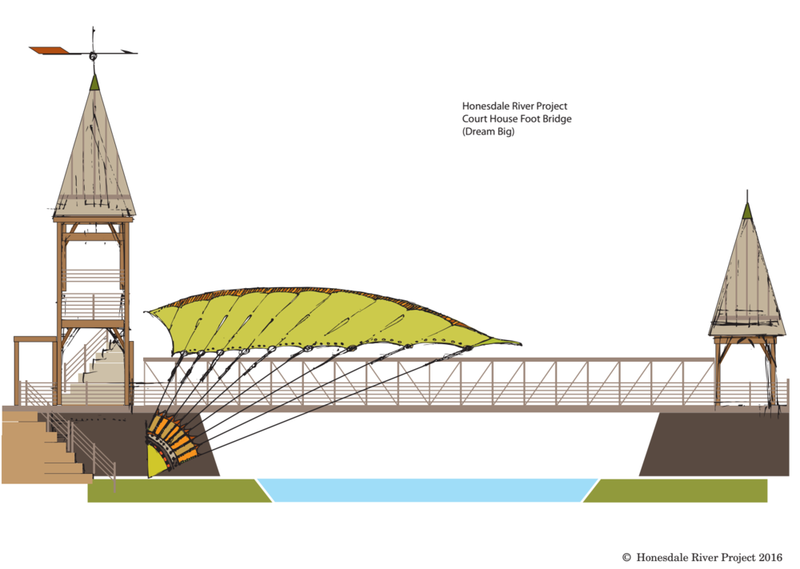 What is the Honesdale River Project? 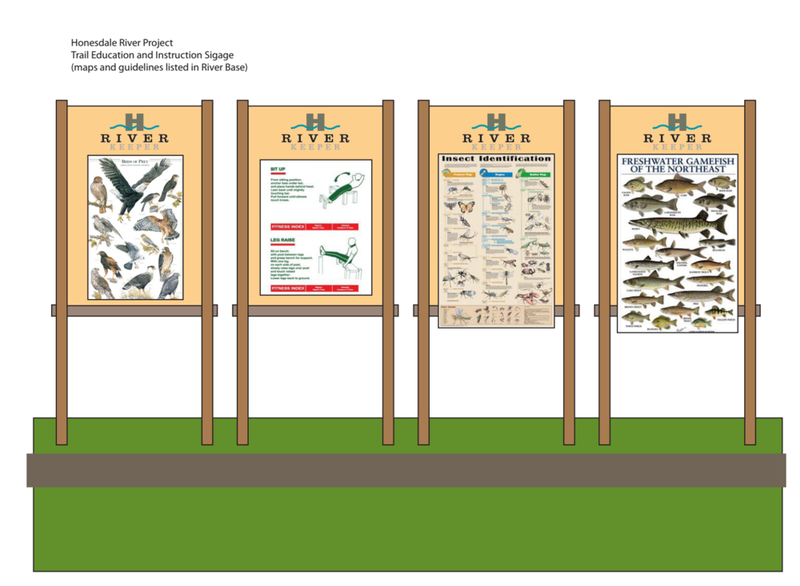 Part of the Wayne-Pike Trails & Waterways Alliance, the Honesdale River Project envisions walking paths and access points along the Lackawaxen River throughout Honesdale. The idea is to take advantage of the beautiful river running through our town as an economic and recreation driver in Honesdale and the region. 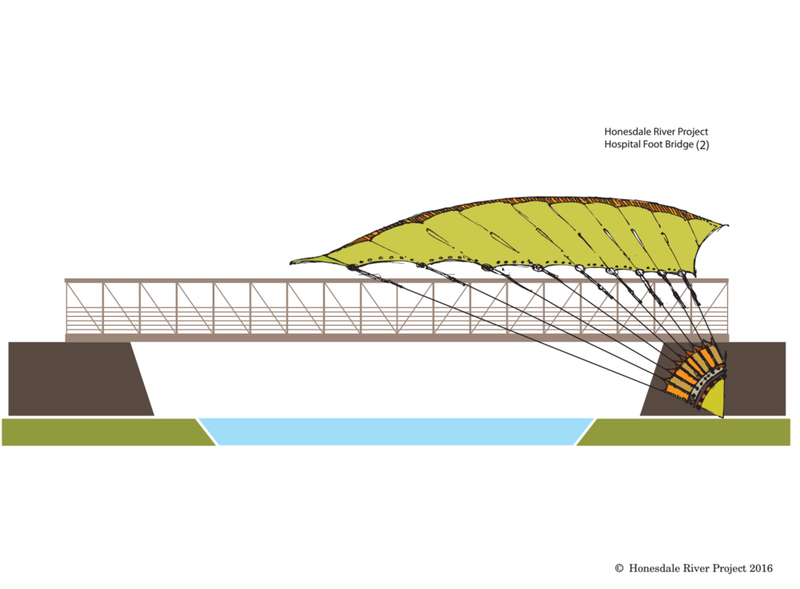 Here are some conceptual renderings to get your creative juices flowing! The high banks of the Lackawaxen River provide the opportunity to have a mutli-tiered trail experience: one that's more rustic and gets visitors close to the waters, and another that is more refined and perfect for a scenic stroll. 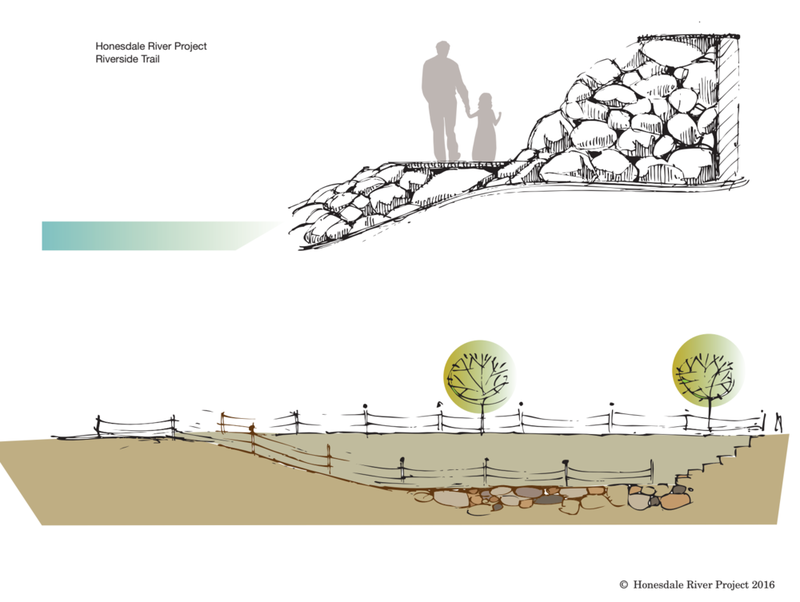 A trail along the banks of the river will allow for the group to clear out the invasive species of plants and focus on natural plantings of trees, flowers and bushes, as well as boulders, rocks, and trail aggregate. Currently, there are no defined paths along Park Street in Honesdale, or much of the Lackawaxen River in general outside of the beautiful path in downtown Hawley and the upcoming trails at the Stourbridge Project. Our plan aims to implement paths and trails that are sensitive to their natural surroundings, as well as incorporating parking (auto and bike) where possible. Like what you see? Get involved and volunteer!